This month on a twist with our monthly 'Meet the Agent' feature we interview Steve Bowie, Chartered Surveyor (BSC, MRICS) and Head of Professional Services at The Property Group. 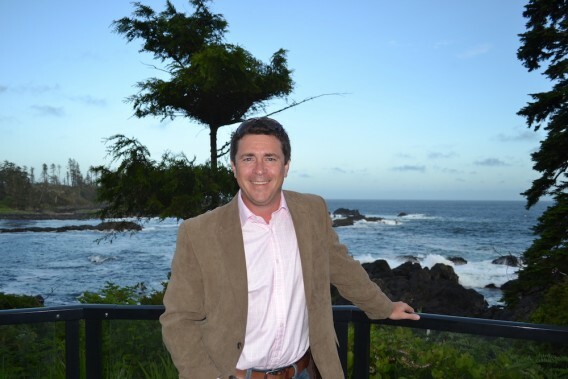 With Steve's wealth of knowledge in property appraisals and valuations he discusses factors that can impact a properties value, how to help maximise the resale value of your home, outlook for the Bermuda property market as well as why he enjoys working as a Chartered Surveyor at The Property Group. How long have you been a Chartered Surveyor? Since 1989, with 9 years in the UK, 10 in Botswana and almost 8 years in Bermuda. Why do you like your job? My jobs have taken me to so many locations from the East End to the West End of London; from Front Street to the paddy fields of Madagascar and polo fields of South Africa. Why do you like working for The Property Group? Apart from getting to see some of the most wonderful houses in the world in our beautiful tropical home, I now specialize purely in the valuation of all types of property and am therefore able to concentrate on the task of assessing / valuing and researching property to ensure that we are as informed as possible. In this market the most recent information is paramount. I have encouraged to grow the business whilst helping further raise the profile of the Property Group, by adding not only another service but by also additional market knowledge and experience of residential, commercial and tourism properties. What is the favorite part of your job? It enables me to indulge my love of property, whilst assisting people to make the right, informed property choices, whether it be buying / extending their dream home, or their new office headquarters. Why is an appraisal so important when you are buying a property? Whether you are buying, selling, developing or just extending property, it is important to know what the property is / will be worth, before you commit, i.e. what you could realistically sell it for. One of the least favorable parts of my job is being asked to value someone’s home, only to have to tell them it is worth less than they have spent on it, especially when they have just carried out a major refurbishment / extension. It is possible to over develop a property! How do you reach an accurate valuation of a property in Bermuda when very often many properties are ‘unique’? True, whether it be a slightly different view or style of decor, every property is unique, but some properties are more unique than others. Usually when considering a property’s value, we look at comparable sales and also what other similar properties are available. The more unique a property the fewer comparables there are and this is when valuation becomes less of a science and more of an art. We have to consider what evidence there is and discount or add accordingly depending on the variables. Other factors we also consider are capitalization of income/ potential income, the per square foot capital values, and the replacement cost, i.e. cost of land and subsequent building. It must however be remembered that this latter technique is not always accurate. For instance, one could build the same home in a water front location and in a less sought after position. Even taking into account the land values, the two homes will not have the same value. In fact, it is quite possible that a property could be worth less than it cost to build! What are your top 3 tips for sellers to maximize the resale value of their home? Ensure the property is clean, with as much personal clutter put away as possible and make sure the house is aired and smells fresh. Carry out as many repairs as possible, people do not want to see issues. It does not always pay to spend a fortune renovating a house prior to sale. Try to keep improvements as neutral as possible, bear in mind that your style may not be to a potential purchasers taste. Remember people are always influenced by their first impressions, even if only subconsciously, even if they say that they can see / smell through it. How do you see the Bermuda property market over the next 12 months & how have you seen valuations change over 2016? Ah one of two, million dollar questions everyone asks. I wish I had that elusive crystal ball. At the moment, I think the market can be summed up by two key words, cautious optimism. 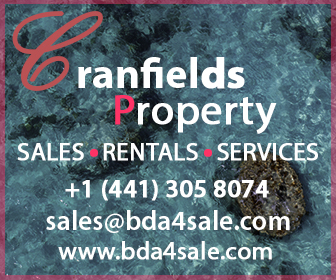 We are seeing a strengthening in demand for high end properties, especially those with water frontages properties, located in the central parishes and Tuckers Town / Point, from Bermudians, PRC s and overseas buyers. We continue to see limited demand for the outlying parishes, especially where they would benefit from “improvement”. Going forward there are numerous factors which could positively or negatively impact the market such as the America’s Cup, Casinos, the possible airport redevelopment and Bermudian election as well as seeing how the cards fall following BREXIT and the ‘Trump card”. We have to ask! Are there any listings on the market you see as really good value right now The second million-dollar question. I think it would be unfair of me to single out one particular property. However, we are seeing increasing interest in the smaller, water front condos from individuals looking to put their money to work, rather than leaving it in the banks, earning very modest dividends. I also think that those properties which could be let on the short term rental sites such as Airbnb offer great returns for the owner, whilst providing affordable tourist accommodation, making Bermuda a lot more attractive to the average holiday maker. I will also be monitoring the success of the Condo Hotels, Azure, the Lauren and Ariel Sands, as I think these offer great potential to invest in Bermuda not only for Bermudians but international buyers, thus increasing the Island’s worldwide exposure. What do you think of propertyskipper.com (we promise not to edit!)? I think that Propertyskipper.com is an excellent way of searching for property on one site and it is always my first port of call when looking to see what is on the market. Also available on whatsapp and Linkedin.